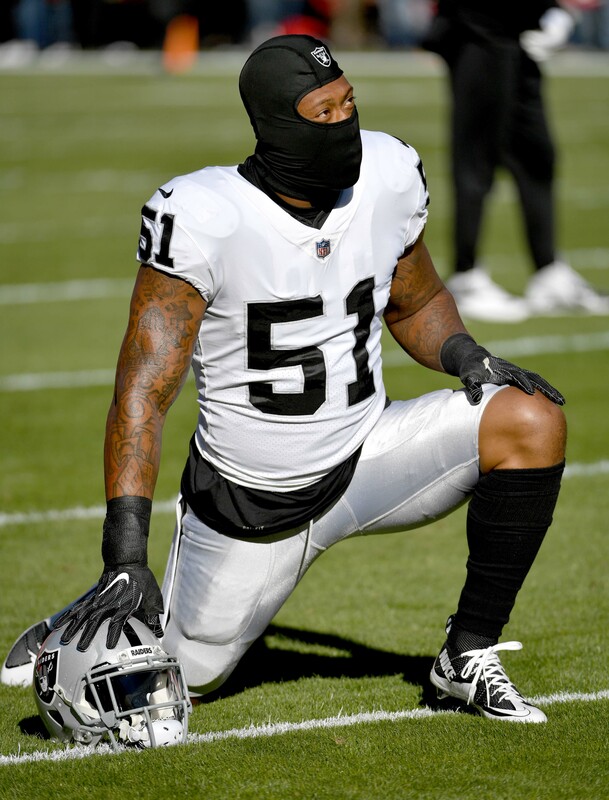 Former Raiders defensive end Bruce Irvin has agreed to a one-year deal with the Falcons, according to a team announcement. The deal reunites Irvin with coach Dan Quinn and gives the veteran a chance at reaching the playoffs this season. The Seahawks also tried to sign Irvin, according to Ian Rapoport of NFL.com (on Twitter). But, rather than don his old uniform, Irvin decided to reconnect with the coach who helped mold him into one of the league’s most feared edge rushers. Irvin’s new deal will pay him $1.5MM for the final eight games of the season, Rapoport adds (on Twitter). He also gets to collect on the full amount of his remaining Raiders salary, giving him a total haul of $9.75MM for 2018. Irvin, 31, recorded 88 tackles, 8.5 sacks, five pass defenses, three interceptions and two touchdowns in his two seasons under Quinn in Seattle. The former No. 12 overall pick also had some success with the Raiders, but things took a turn this year under new head coach Jon Gruden. The Raiders’ pass rush has been listless without Khalil Mack leading the charge, and Irvin was not his usual self, despite leading the team with three sacks at the midway point of the season. In his final game with the Raiders, Irvin played only nine snaps. With the Falcons, Irvin will join a talented pass rush that includes former first-round picks Takkarist McKinley and Vic Beasley. On the whole, it’s a defense that has not been playing up to its potential. The Falcons are among the lowest-ranked defenses in the league and the front seven has registered just 17 sacks on the year. Because he was released after the trade deadline, Irvin was subject to waivers. He went unclaimed due to his contract which called for him to earn $3.8MM the rest of the way. Naturally, he’ll earn less on his Falcons deal. Irvin’s first game with the Falcons will come against the Browns on Sunday. The defense hasn’t played to its potential because of injuries. We lost 3 starters, two pro bowlers, in the first 3 games of the season. Everyone has injuries, stop using it as a crutch. Next man up! Rare to see players take less to play where they want. Good for him. Not to mention passing up the chance to play in the playoffs. as opposed to where else he was offered to play? Easiest way to cover up those secondary injuries is to rush the passer.